BTS and EXO have been nominated for the '2018 iHeartRadio Music Awards'. The event is set to take place on Sunday, March 11, 2018 at the Forum in Los Angeles. BTS' A.R.M.Y. 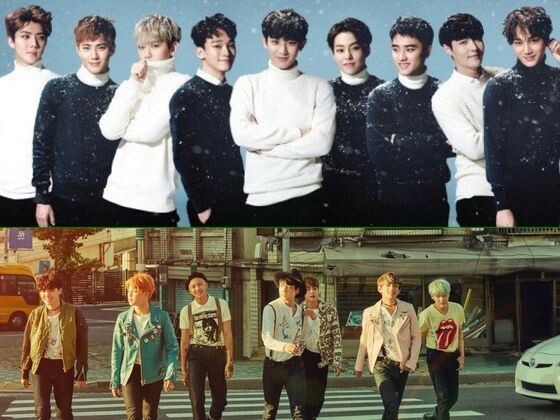 and EXO's fan club EXO-L are both nominated in the category of "Best Fan Army". BTS was also nominated in the category of "Best Boy Band". Other nominees for this category include CNCO, The Vamps, and Why Don't We. These are both socially voted categories and fans can support their favorite group by voting on iHeartRadio.com/awards. Fans will be able to vote on social media during the show for winners of the Best Performance and Best Dressed awards; the results will be posted immediately after the event. The event will be broadcasted live on TBS, TNT, and truTV at 8 p.m. ET/5 p.m. PT; on iHeartMedia radio stations around the nation; and the iHeartRadio app. According to Tom Poleman, Chief Programming Officer for iHeartMedia, "We've expanded the iHeartRadio Music Awards categories each year to ensure it accurately reflects the tastes of the millions of listeners on our broadcast radio stations and on the iHeartRadio app". This couldn't be truer seeing as BTS has become more widely known in the States during the past year. With appearances on the 'Ellen Show', 'The Late Late Show with James Corden', and 'Jimmy Kimmel Live! ', it is no wonder that BTS' burgeoning popularity has earned them this nomination. Not to mention EXO's loyal international fan base has been around for a significant time period, as well.